I'm very excited about something I just ordered online. And I'm delighted to share it with you, my dear friends! In less than two weeks the mailman will be delivering a parcel that contains not just one, but two copies of a book I never knew existed until I did a very modern 'Google' search looking for info about its author. Now, if you have been, or still are a faithful fan of the original Victoria magazine with founding editor Nancy Lindemeyer, you must remember the wonderful artist, Aude Kamlet, whose lovely mini watercolours often adorned the 'Dear Friends' pages. Ms. Kamlet made comment that of the many illustrations signed by herself, those done for the "Dear Friends" column of Victoria Magazine from 1992 to 1998 were among her favorites. I have to admit I loved those little touches of beauty too. Which is why I. AM. SO. EXCITED. 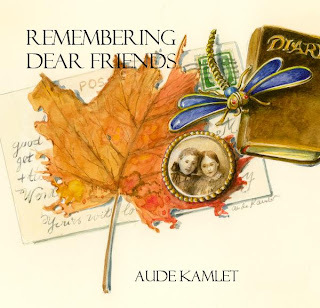 Because 'Remembering Dear Friends' is a little book that Ms. Kamlet created commemorating that very season of her life, and--joy, joy--it's still available to purchase! If your giveaway is open to other countries, I'd love to enter. We don't see Victoria here as far as I am aware...sadly! Oh fun! Yes, please, and now you've totally piqued my curiosity and I must go look through my stack of old Victoria magazines. I was first introduced to the magazine by an aunt who felt that I'd enjoy them. She was correct. I will create a button for my sidebar about your giveaway. Yes, the giveaway is open to other countries, so please feel free to enter. Sounds like a beautiful book...a lovely item to give away! Linda, How exciting!!!! I'm so very glad you shared that good news, I'll be watching for that issue next spring. And to go see Monet's Garden, now that is a dream I have too. You'll have to post lots of photos when you go! Hi Brenda, Thanks for visiting my blog. It's been so long since we've "chatted" and I'm so glad to reconnect again. 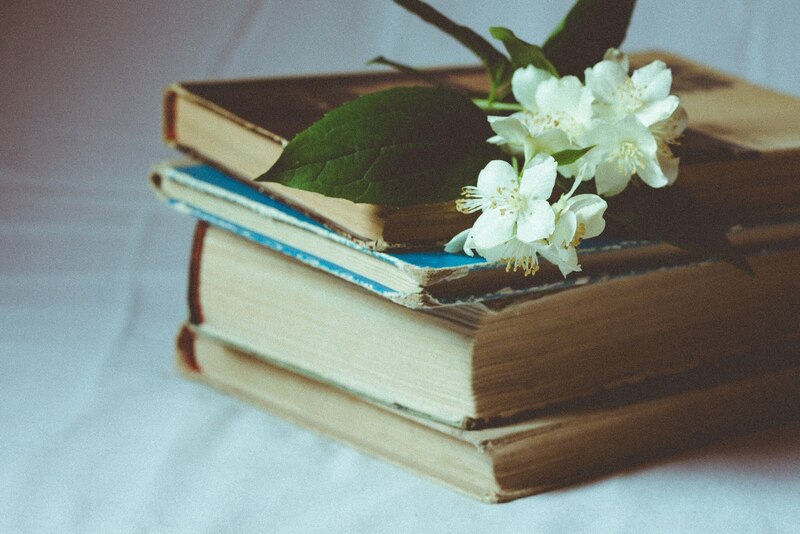 Your blog just lovely and I'm looking forward to reading what's on your heart. I've never heard of this book either and have collected many of the Victoria books as well as magazines. I would love to be in your draw...how generous of you! Victoria has meant a lot of me over the years from the early years back in the late 1980s when I first discovered it. This magazine opened my world to authors, artists, places, and people I probably would never have heard of if it wasn't for the articles in Victoria. It hasn't been so much the photos and glossy pages that have influenced me but the "feel" that has stayed with me. Victoria taught me graciousness, the beauty of life and how to add it to my life. The old issues are definitely better than today's version and I'm amazed how they've remained timeless. I'm off to share your giveaway on my blog! I've always admired Aude's illustrations in Victoria and wondered what had become of her. Victoria magazine - there's so much to say. In the early 90s we lived in Shell Mera, a small jungle town on the eastern edge of the Amazon jungle. Our mission forwarded magazine subscriptions to us three or four times per year, in a literature shipment. Oh, what joy when those boxes of books and printed matter arrived. Several of us would get together to sort everything according to family. I was always thrilled with my Victoria magazines. No matter that they were four or five months late. Sometimes three or four arrived at the same time. I carefully rationed their reading. If a trip was in the future, I saved one for that. What a treat it was to sit in my second floor living room, the light filtered by a huge tree where monkeys sometimes sat to look into our house, to make a cup of tea and sip it from a china teacup while reading my Victoria magazine. I loved the way Victoria encouraged me and helped me to live a life of beauty in sometimes harsh conditions. Victoria's writers revealed to me poetry and books - authors whose books I sought out, and loveliness in the details of life. I hope to write a post about your giveaway and Victoria magazine this week sometime. Thank you for telling us about Aude's book. And for the giveaway. This post has reminded me of a very special magazine that meant a lot to someone living far, far away from the scenes pictured on the pages, but who appreciated the essence of Victoria's message. Hello, lovely friend! I remember first drooling over this magazine at a friends house. So much to admire and dream about throughout the pages. Love your new blog look! Hoping you're having some lovely weather and getting time to enjoy the beauty of the season. Hi Brenda,Just to let you know that I've put up a post about the giveaway on my blog. Hope you are enjoying sunshine! I still have article and image clippings from vintage Victoria magazines in my files. The ideas are perennially useful. How fortunate for you to find 'Remembering Dear Friends' and generous to purchase an extra copy for a giveaway. I first started reading Victoria when I looked after a magazine section in a store I worked in. It didn't take long to realize this was a magazine I wanted a subscription for so I could keep each issue. I've used it for decor inspiration and as a relaxing read over a cup of tea. I'm visiting after reading Lorrie's account of her love for Victoria magazine and included the link to your blog. I haven't heard of the magazine but I checked out the book on the 'Blurb' site! What beautiful illustrations - I would be thrilled to win a copy! M first visit to your blog and I saw the giveaway. I loved Victoria magazine and bought the first issue many years ago. I remember that artist and her beautiful work. What a delight that she has published a book. IfI don't win it, the lucky person who does is really going to enjoy it. Thank you for giving us an opportunity to win this book. I dearly love the old Victoria magazine. 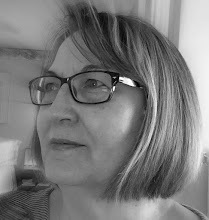 You are a dear to find me, Brenda, and isn't it my story too - I've not had much time for blogging since before the new year and am only the last couple of weeks finally freeing up my schedule to have more inspirational and creative time so I can truly be at my best! Was recently thinking of you as my Lucy Maude poetry book is by my reading corner and I wanted to start incorporating more poetry in my devotional time. And - visual watercolours from a Victoria staff artist - Vintage Victoria at that! Joy! Do enter me! I remember getting Victoria years ago when the magazine first came out. I used extra copies of it for a scrapbook journaling project with my daughter when I home schooled her through middle school - good memories. Enjoying my bi-monthly issues today, too. So - that's two entries for commenting - one for my relationship to Victoria - and another because I've put your link onto my page for the give-away. 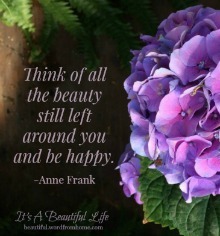 Best to us all - kindred spirits in good things and beauty. Oh, this book sounds so lovely! I haven't really read an old edition of Victoria before. I have only known the new issues. This book would surely be a treat! How exciting! I would be thrilled to have this amazing book. When I was younger and raising 4 sons, it was the biggest splurge to get a Victoria magazine. It would feel so wonderful to step into the world of elegance and grace. I always passed them on to someone else to make a difference, too. Thanks so much for being so sweet! I saw this at Vee's this morning! I hope you'll visit me, too! Hugs! Oh my, Brenda! How I would love that... takes me right back to the original Victoria days! I have taken a break from blogging lately, but I really want to get back to it. How wonderful to stop by your blog and see the beautiful artwork of Aude Kamlet. Despite the new version, I still miss the Nancy LIndemeyer Victoria and love to find things here and there that remind me of her. My "Remembering Victoria" blog kind of fizzled, as I couldn't find anyone interested in writing and sharing a story. But, I haven't completely given up on it and may try again soon to revive it. Appreciated your contribution so much! Please enter me in your beautiful giveaway. I love Victoria and the illustrations are just beautiful. I remember way back in the late 80's when Country Style was in it's height of popularity. I was at a book store on my lunch break from working at a flower shop and saw Victoria. I have been hooked since! I showed my employer the magazine and she went and got a copy too in addition to both of us subscribing when available. My husband and I had moved a few times and I still cannot believe that I let me collection go :( I am slowly re-building my Victoria Library especially pre-1999. I enjoy those the most. Every month I pull out every corresponding issue(all June issues for example) and read one a week with a cup of tea just savoring it. Thanks again for a sweet giveaway! Brenda, I must have been just remembering our correspondence about you contributing to my Remembering Victoriablog, when I thought I had actually posted something from you. But, I would love to post a story from you if you ever do feel like taking time to write your "Victoria story." And since this is a Victoria related giveaway -- I know it's late -- but I have posted it to my Remembering Victoria blog! My Victoria story is there on that blog in the first entry. It started back in the 1980's with my grandmother, who bought me my first copy, and continues to this day. I read it as a new bride, kept every copy and lugged them through move after move, and still read them today. It is timeless. Christi and Charm and Grace shared this giveaway at her blog and that makes me so happy. Very interested in this book...it looks a treat! Oh, this is a fun one (give away)! I still have my first Victoria I ever bought way back in the Winter 1987/8. It featured Mary Engelbret's home! LOVE IT! Brenda....thanks so much for the very sweet comments you left at my blog. Yes, I believe we're kindred spirits indeed! i have never read this Victoria but would love to win! thank you for offering it, brenda!